The 16 year old, from Larkhill, was the first to spot two people collapsed on a bench in the Maltings on March 4th and didn’t hesitate to help. Abigail quickly alerted her mum, a qualified nurse, who was nearby and together they gave first aid to the victims until paramedics arrived. It soon became clear this was no ordinary medical incident, but the poisoning of a former Russian spy Sergei Skripal, and his daughter Yulia, with Novichok. Immediately following the incident and with the world’s media focused on Salisbury, the pair didn’t want any want press attention and kept their involvement quiet. But Abby’s mum now feels the time is right for her daughter to be recognised for the “incredible” way she dealt with the scenario. 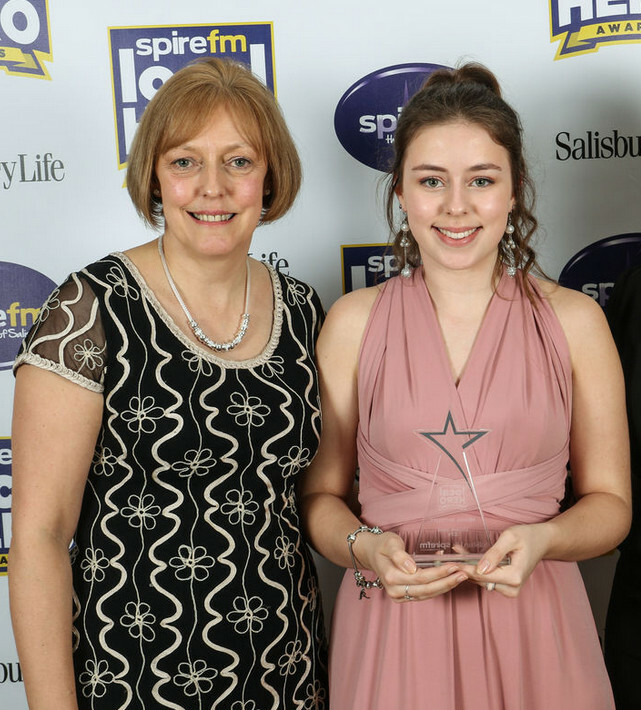 Alison nominated her for the Lifesaver Award at Spire FM’s Local Hero Awards, and the judges were unanimous in their decision that Abigail was a very worthy winner. 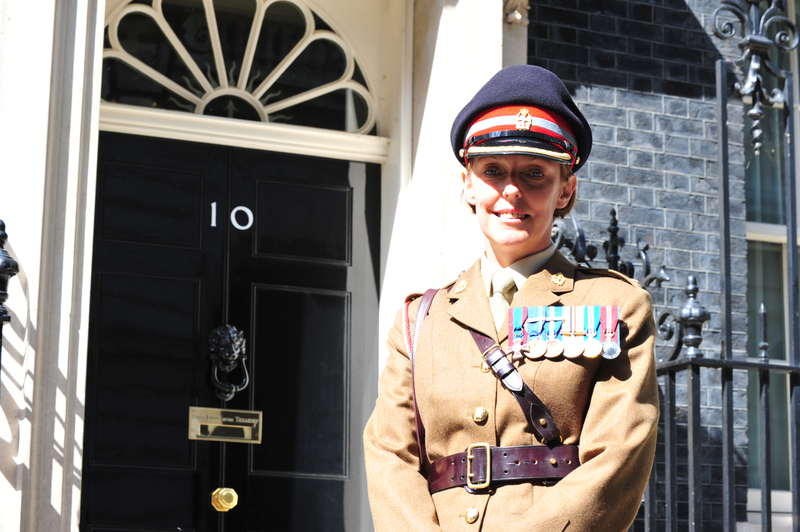 Colonel A L McCourt OBE ARRC QHN – Assistant Head Health Strategy / Chief Nursing Officer (Army) – Senior Health Advisor (Army) Department. Colonel McCourt was appointed Chief Nursing Officer on February 1 2018, just one month before the Skripal incident happened. Colonel McCourt lives in Larkhill, a garrison town some 11 miles from Salisbury. She is known to visit elsewhere. 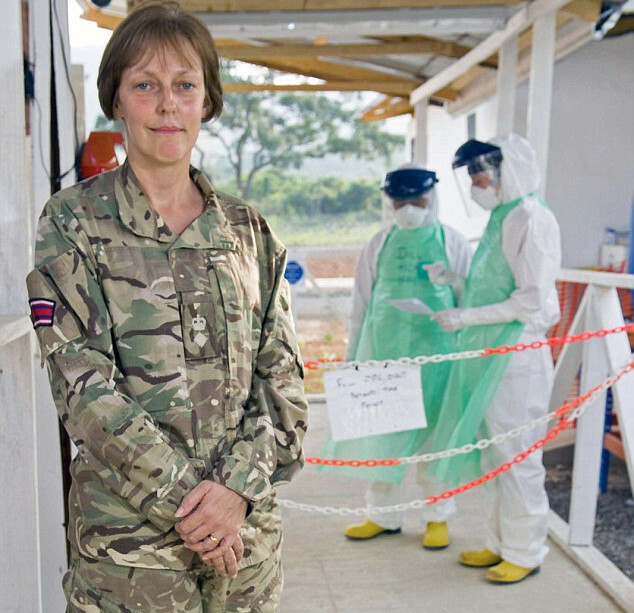 In 2014 the Daily Mail reported (video) on Colonel Alison McCourt’s deployment as British mission leader to Sierra Leone where she helped to fight the highly infectious Ebola disease. According to that report McCourt is married and has two children. Her son must by now be fourteen. There is no further information available about her husband. Neither Colonel McCourt nor her daughter were affected by the extremely dangerous Novichok with which the Skripals were allegedly poisoned. But what about the other persons, her son and her husband, who were also at the scene? What were they doing? No additional information about the McCourts has so far come to light. Isn’t it an extremely unlikely coincidence that the first person who ‘by chance’ attends to the Skripals is the top nurse of the British army? An experienced officer, highly connected, who is also know for handling highly infectious patients? Who wrote the script for this enthralling saga (rec.)? This is one of the many, many ‘coincidences’, curiosities and lies that make the official Skripal poisoning narrative so unbelievable. There are also many indications that the case is related to other British government operations. Indeed the whole Skripal incident might well have been staged. Pablo Miller, the MI6 agent who recruited, handled and befriended Sergei Skripal, also worked for Orbis Ltd. Orbis is the company of the ‘former’ MI6 agent Christopher Steele who was paid by the Hillary Clinton campaign to write the ‘Dirty Dossier’ about alleged Trump connections to Moscow. 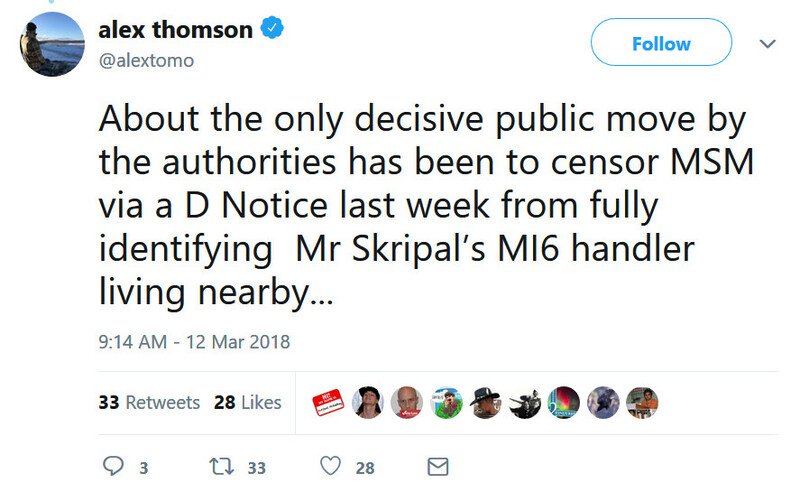 Soon after the Skripal incident happened, the British government released a D-Notice that prohibited British media from further mentioning Pablo Miller’s name and thereby the relation of the two cases. Long before the Skripal incident happened an experienced Russia scholar asserted that the Steele dossier was written by someone trained by Soviet intelligence. It is thus quite possible that Sergej Skripal, the former Russian spy, was an informant or even author of the Steele dossier about Trump. The recently exposed British military intelligence operation Integrity Initiative has shown extensive interest in the media echo the Skripal case had in various countries. Curiously one of its papers lists Pablo Miller, the Skripal handler, as a contact of the Integrity Initiative‘s leader Colonel Chris Nigel Donnelly. There is additional suspicion that the Integrity Initiative, whose primary function is to stoke Russophobia, was one of the brains behind the Skripal incident. The Initiative was also involved in the Steele dossier and the russophobic anti-Trump campaign. Andrew Wood, a former British ambassador to Moscow, is employed by the Institute for Statecraft, the shadowy parent organization of the Integrity Initiative funded by the Ministry of Defense and Foreign Office. It was Andrew Wood who helped to disseminate the Steele dossier to U.S. Senator John McCain. McCain then gave the dossier to FBI Director James Comey. The FBI used the dossier first to get FISA warrants to spy on the Trump campaign, and, after Comey was fired, to launch a counter-intelligence investigation (section 3) against Trump himself. Here is a theory how all this may come together. Back in 2015 the Institute of Statecraft and its russophobic director Colonel Donnelly discussed how to increase sanctions on Russia. In 2016 the Steele dossier was created in an attempt to connect Trump to Russia. Steele’s colleague Pablo Miller and his spy Sergei Skripal were quite likely involved in creating the dossier. The dossier was disseminated with the help of Donnelly’s Institute of Statecraft. For some reason the Skripals had to be taken out. Sergei Skripal probably threatened to spill the beans about the dossier after it became public. The highly scripted ‘Novichok’ incident in Salisbury was staged to remove Skripal and to smear Russia with an alleged murder attempt. Colonel McCourt, the trusted army nurse, was asked to help on the scene. After the Skripal incident, and with no evidence shown, Russia was blamed and massive sanctions followed. The Integrity Initiative, the propaganda arm of the Institute of Statecraft, analyzes the media results of the Skripal affair and continues to stoke the anti-Russia campaign. Perhaps a more “highly likely” scenario has Sergei and Yulia Skripal in on the false flag deception, paid gobs and gobs of money to go along with the more and more bizarre charade, under the condition they disappear forever from the face of the Earth. Yulia had her chance with the Reuters “interview” yet willingly went along with the scripted 1-minute speech with no questions asked, which empowers the theory the Skripals were part of the act lock, stock and barrel. Nurse McCourt should certainly become the topic of conversation when this information spreads and her name is spoken in the “McCourt of public opinion”, and especially if and when Nurse McCourt is handed a subpoena to testify in the “McCourt” room. Unfortunately, the ‘D’ Notice will prevail, so most of us will not even know about it, but yes, in all likelihood, the Skripals are part of the scam. But the major problem is getting people to acknowledge that ‘our’ government does such things as engineer such outlandish conspiracies and on the face of it, it is difficult to swallow, but look through British history and such events are quite common. What has changed is the pervasive and all-embracing monopoly of the state/corporate media, there is simply no room for any alternative narrative. Scary times!